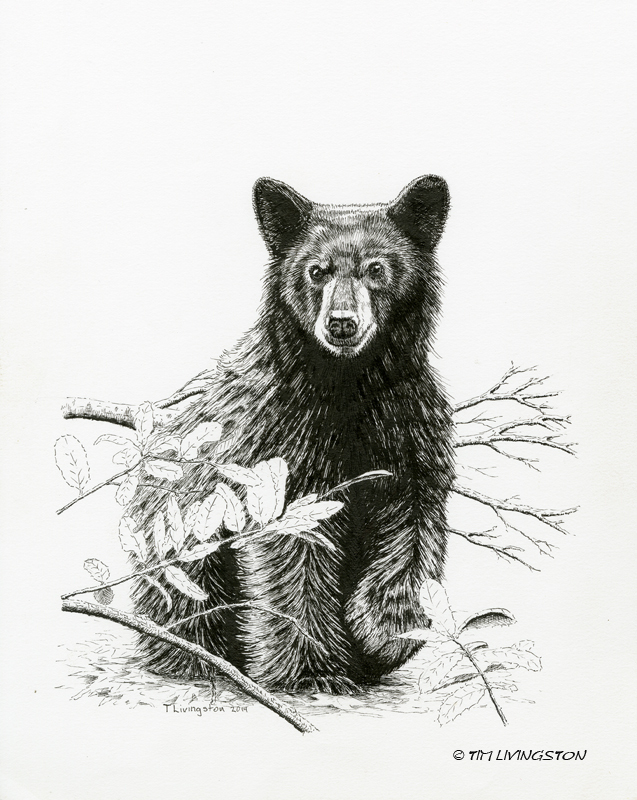 Curious Young Bear in pen and ink. 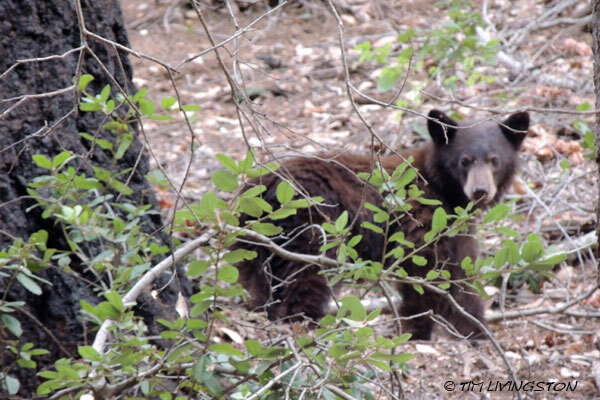 As we rounded the corner, we spooked this young bear. He ran up the hill a short distance and hid behind a large Douglas-fir tree. His curiosity got the best of him as he peeked around one side of the tree and his behind stuck out the other. I stopped the rig so we could watch him. He didn’t run away. We got out and started taking pictures. His curiosity got the best of him. He had to get a better look at us. He watched us for a while and we watched him. An older bear would never have stayed for a look. Soon his curiosity was satisfied and we went our separate ways. Monica was our pole plant/log clerk for many years and is a dear friend. 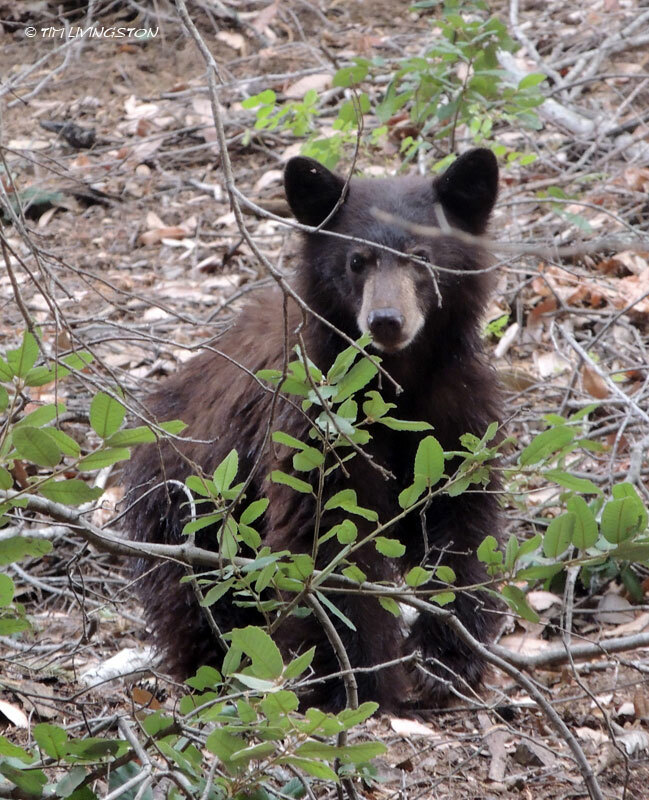 She lives near Shasta Lake and has told me countless stories of her encounters with bears around her home. Of course she had to listen to my countless bear stories too. She just retired, so I gave her a signed and mounted print of this pen and ink. I think of her every time I look at it.